Art Supplies and Gifts go hand in hand with everyone who loves dabbling in paint by numbers or pencil by numbers. I must say that paint by number kits are fantastic if you are a novice or just want to get the feel of what it’s like to work with paints or maybe you just want to learn the fundamentals of sketching. These kits are a launchpad for the budding artist. Once you have done a number of kits, you might want to step it up a notch and give painting and sketching a try without using a kit. This is one reason for setting up this page, to give you an idea of what art supplies you will need to go it on your own. On the other hand maybe you would like to get a special gift to go along with one of the paint by number kits or pencil by number kits. You’ll find a few of my favorite add-ons that go perfect with paint by number kits for adults. 1 What Will You Find Here When it Comes to Art Supplies and Gifts? What Will You Find Here When it Comes to Art Supplies and Gifts? 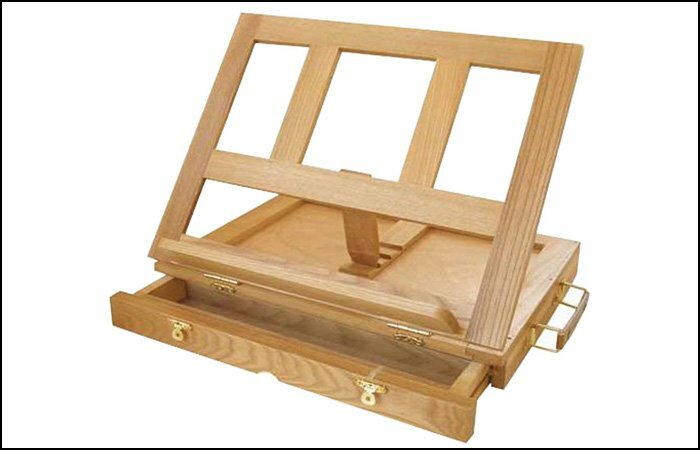 Brushes, easels, painting smocks, cases, sketching pencils, paper will make your hobby much more enjoyable. I’ve also found some really unique gifts for all you paint by number enthusiasts, so be sure to check out the gift section. One more thing that I’ve noticed most paint by number kits only come with one paint brush. I think to make your painting look more professional it would be wise to purchase a few more brushes of different sizes. This way you can use them for detailing or on those spaces that are too small for the brush that comes with the set. If you really would like to delve into the paint by number history you’ll find some books that are very interesting. 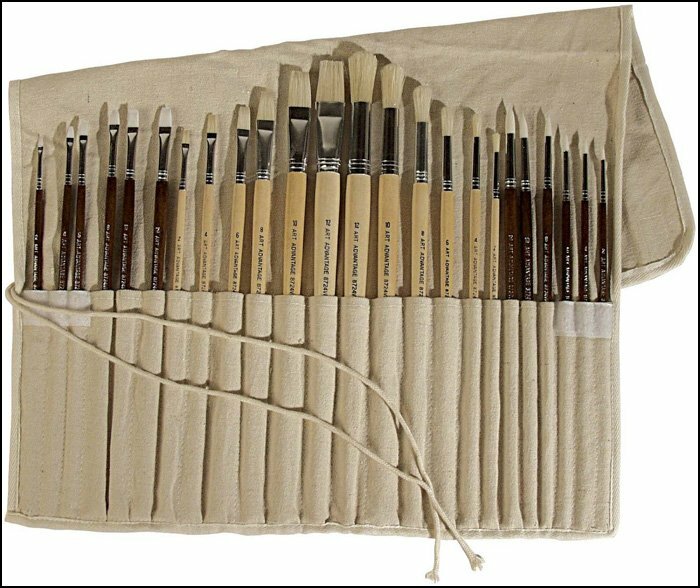 This twenty-four piece Art Advantage brush set is perfect for anyone who loves painting. These long handle brushes are ideal for both acrylic and oil and they come with a free canvas brush roll-up. There are 12 white nylon brushes and 12 sturdy hog bristle brushes. Each set comes with flat and round brushes in sizes #2, #4, #6, #8, #10, #12 in both natural and synthetic bristle. After doing a few of these you might want to try your hand at doing a few sketches of your own. Here are a few art supplies that would be great to start off with. This would make the perfect gift for anyone who would like to expand their sketching and drawing talents. 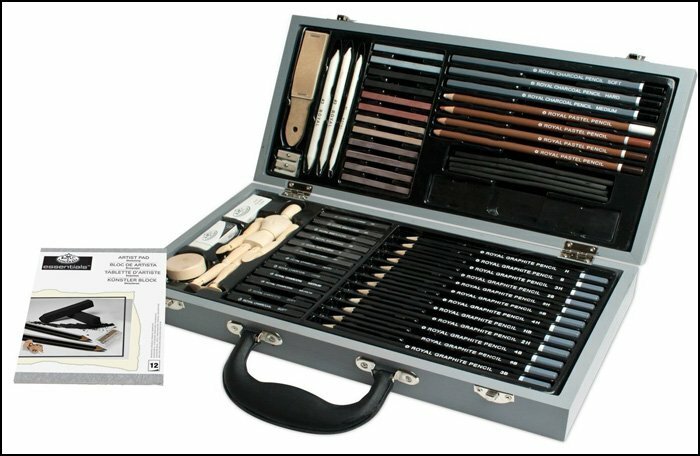 This Deluxe Sketching set by Royal & Langnickel is packed with some awesome tools and than there are even some drawing tools that you might never have thought of using before. 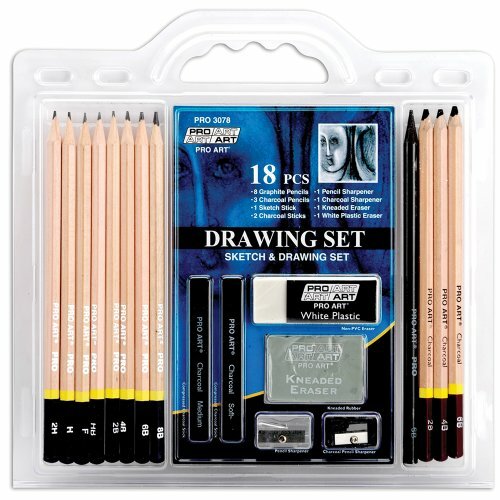 If you have decided to take up drawing than you’ll love this drawing set that has over 50 drawing tools.